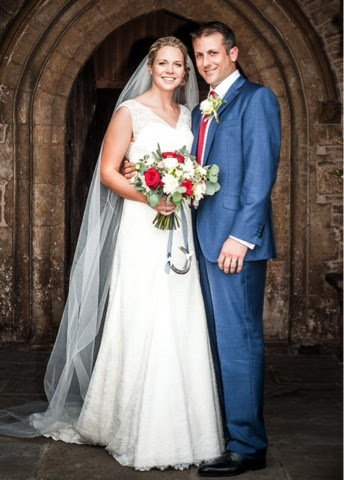 Stephanie Eastwood Floral Design: Kate and Max, July 2014, Tickenham Church. Kate and Max married on a beautiful sunny day in July at Tickenham Church, North Somerset. 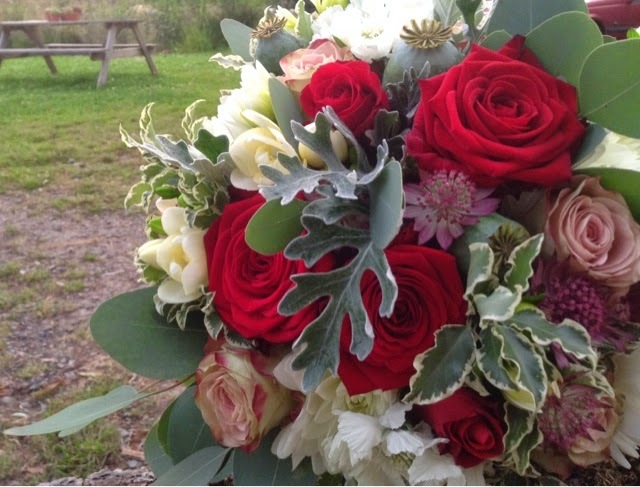 Kate decided on a beautiful mix of rich reds, ivory and greens for her bouquet. Kate's bouquet included rich red Naomi roses, beautifully scented white double freesias, Dahlias, scabious and a selection of different foliages and seed pods. The bouquet also include 'Upper Secret' roses a beautiful pale pink rose with a red edge. Kate also had a flower girl who carried a tiny posy of gypsophilia and two bridesmaids who had smaller versions of Kate's bouquet. 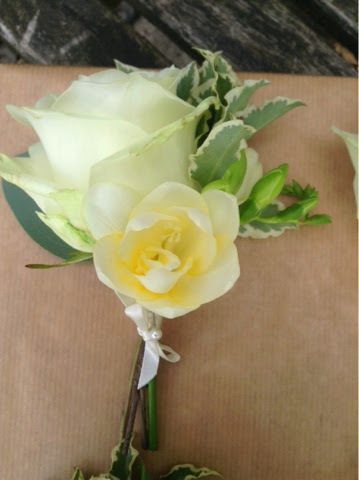 Max's buttonhole of freesia and white rose to link with Kate's bouquet which also included freesia. 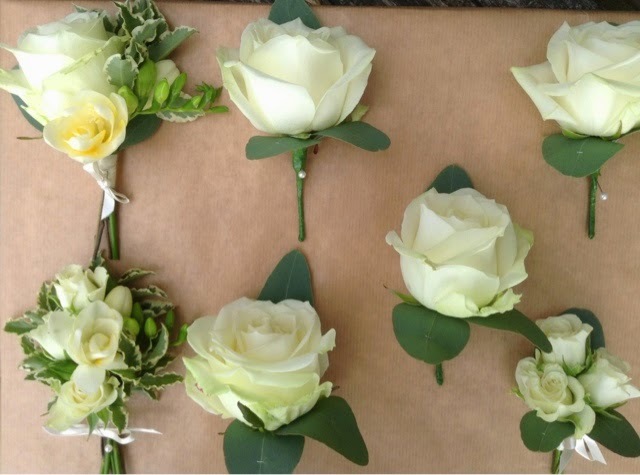 Buttonholes, the men wore classic white rose and eucalyptus buttonholes. The ladies wore dainty white buttonholes of spray roses and freesia (Bottom left) and the page boy wore a tiny buttonhole of white spray roses (bottom right).